(a) Acupuncture, and the related practices of acupressure and meridian therapy, include methods for diagnosing and treating a patient by stimulating specific points on or within the musculoskeletal system by various means, including, but not limited to, manipulation, heat, cold, pressure, vibration, laser, ultrasound, light electrocurrent, and the insertion of acupuncture needles or solid filiform needles for the purpose of obtaining a bio-positive reflex response by nerve stimulation. All therapeutic modalities provided by licensees, including the performance of acupuncture services, must comply with the chiropractic scope of practice as defined by the Texas Occupations Code §201.002. (b) A licensee shall use acupuncture as an adjunctive modality only after obtaining certification to do so from the Texas Board of Chiropractic Examiners (Board). (c) A licensee with an acupuncture certification may not delegate the performance of acupuncture services to a chiropractic assistant or technician. (d) Requirements for acupuncture certification. 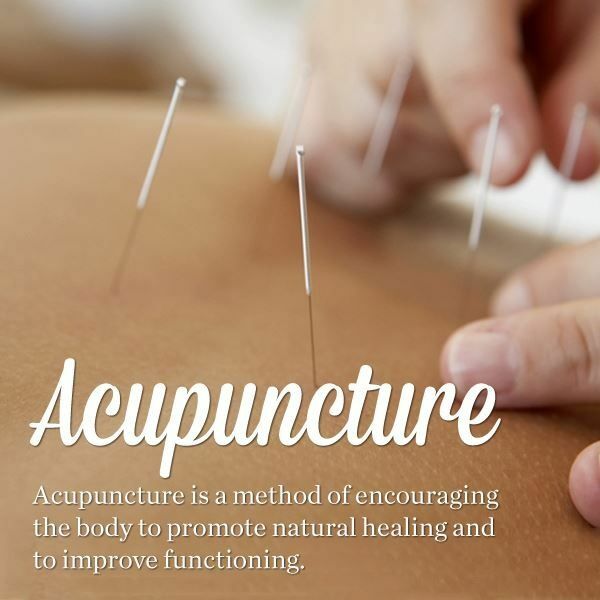 (1) A person who becomes a licensee on or after the effective date of this rule may receive an acupuncture certification from the Board by successfully completing and passing an examination in at least two-hundred (200) hours of training in the use and administration of acupuncture. The classes must be provided by an accredited chiropractic college or post-secondary university approved by the Board. Such training shall include didactic, clinical, and practical training in the use and administration of acupuncture, as well as clean needle techniques, examination, and protocols that will satisfy the blood-borne pathogen standard established by the federal Occupational Safety and Health Administration. (2) A person who became a licensee after January 1, 2010, and before the effective date of this rule shall have until September 1, 2019, to obtain an acupuncture certification from the Board by passing the National Board of Chiropractic Examiners' standardized certification examination in acupuncture and completing 100 hours of acupuncture training. (C) Satisfied what would otherwise be the training requirement by counting each year of the licensee's practice in which the licensee performed acupuncture as an adjunct modality as ten (10) hours of training in the use and administration of acupuncture, so long as the licensee has been trained in and practicing acupuncture for ten (10) years and is in good standing with the Board and the regulatory entities of the other jurisdictions in which the licensee is licensed. (4) All licensees seeking certification in acupuncture may verify training in acupuncture by submitting signed certificates of attendance or completion, or diplomas from course sponsors or instructors. All licensees seeking certification in acupuncture may document experience by submitting a sample of patient records spanning the years claimed for review by the board. (e) As part of his or her required continuing education, a licensee certified to perform acupuncture must complete a minimum of eight (8) hours in acupuncture for each two (2) years of licensure. The continuing education must be a course or seminar approved by the Board. (f) A licensee may not perform acupuncture services until the licensee has submitted proof of compliance with subsection (d) of this section to the Board and has received a numbered acupuncture certificate from the Board, verifying that the licensee has met the criteria and requisite training to use acupuncture as an adjunctive modality. (g) A licensee performing acupuncture services under this section shall not advertise in a manner that would suggest the licensee possesses a license to practice acupuncture issued by the Texas State Board of Acupuncture Examiners, including by using any of the terms "acupuncturist," "licensed acupuncturist," "L.Ac.," "Traditional Chinese Medicine," or "degreed in acupuncture" unless the licensee has satisfied the criteria for licensure found in Texas Occupations Code chapter 205. (h) A licensee's advertising may include either or both of the terms "Board Certified" or "Board Certified in Chiropractic Acupuncture" if it also clearly identifies the nationally recognized certifying board and credentials. A licensee to whom the Board has issued a certificate under this Rule may state that the licensee is "Board Certified in Acupuncture as an adjunctive modality by the Texas Board of Chiropractic Examiners." (i) Traditional Chinese Medicine (TCM): Approved programs in clinical acupuncture or meridian therapy offered by accredited chiropractic colleges or universities are specifically designed for Doctors of Chiropractic and other disciplines. These courses are not intended as substitute for a full curriculum teaching TCM, but rather focus on the principle, theory, scientific findings, and practical modern application of the modality of acupuncture as a Doctor of Chiropractic might use it in an existing professional practice. Notwithstanding anything else in this section, a licensed chiropractor may provide for patients' use of herbal supplements or remedies, homeopathic remedies and compounds, and nutritional supplements, including vitamins and minerals. The practice of acupuncture as an adjunct modality by a licensee who has not complied with the education and certification requirements of this section constitutes unprofessional conduct and subjects the licensee to appropriate disciplinary action by the Board. A licensee who advertises the practice of acupuncture as a modality without first obtaining an acupuncture certification from the Board also has engaged in unprofessional conduct or other sanctionable conduct, subjecting the licensee to appropriate disciplinary action by the Board. (l) A licensee performing acupuncture services under this section shall comply with Texas Administrative Code §77.11(a). (m) A licensee performing acupuncture services under this section shall comply with the provisions of Texas Administrative Code §78.2 - Proper diligence and Efficient Practice of Chiropractic. Comments on the proposed new rule and/or a request for a public hearing may be submitted to Christopher Burnett, General Counsel, Texas Board of Chiropractic Examiners, 333 Guadalupe Street, Tower III, Suite 825, Austin, Texas 78701, via email [email protected]; or fax: 512-305-6705, no later than 30 days from the date that this proposed amended rule is published in the Texas Register.